Use smooth strokes to cover your lid with your favorite powder shadow. This brush is ideal for applying light or shimmering shades across the lid as an all-over base color. Whether you stick with soft neutrals or you’re a neon green kind of gal, we all need a great eye shadow brush to get the job done. This dense, soft brush head with slightly rounded edges gives all-over color application that’s smooth and even, so it’s perfect for applying a single shade of shadow or smoothing a base color across the lid. The antibacterial and hypoallergenic RC Cosmetics fibers hold color without absorbing product, plus they’re made to hold their shape and color no matter how many times you clean your brush. So whether you go bold or basic, do it flawlessly each time. HOW TO USE Use smooth strokes to cover your lid with your favorite powder shadow. 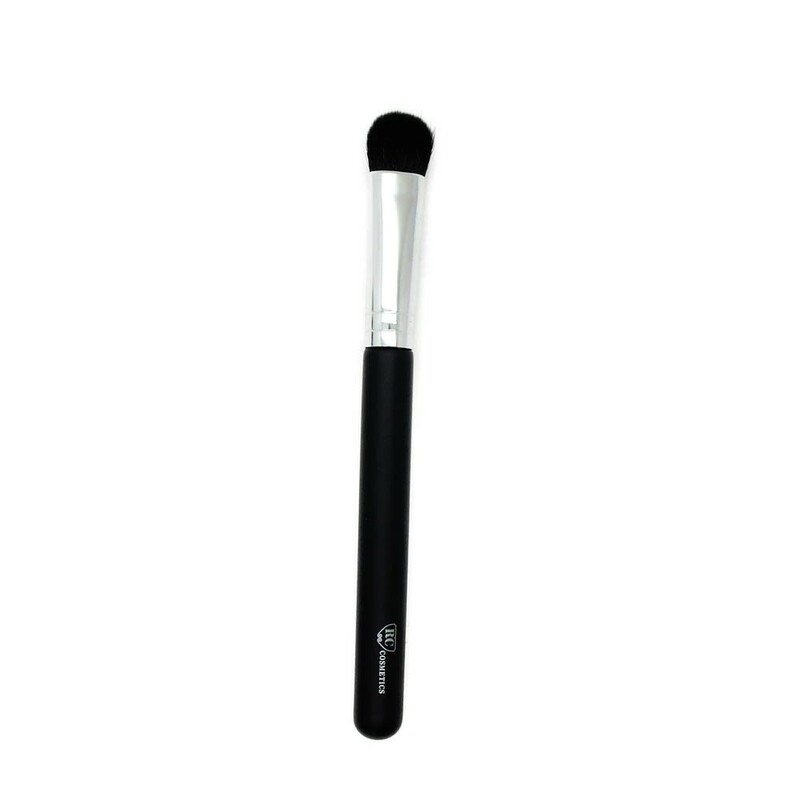 This brush is ideal for applying light or shimmering shades across the lid as an all-over base color.